In 1996, this song swept the nation as Jewish (and non-Jewish) kids sang along and laughed with Adam Sandler. It was a jingle that brought the December holidays together for everyone to enjoy. Why was it such a sensation? Aside from cleverly rhyming “Chanukah” with “harmonica” and “gin and tonica,” this song created a sense of inclusion during the time of year when traditions can create separation. As an extra-biblical Holiday that is mentioned in the Babylonian Talmud (Shabbat 21b), Chanukah has been around for quite a while. 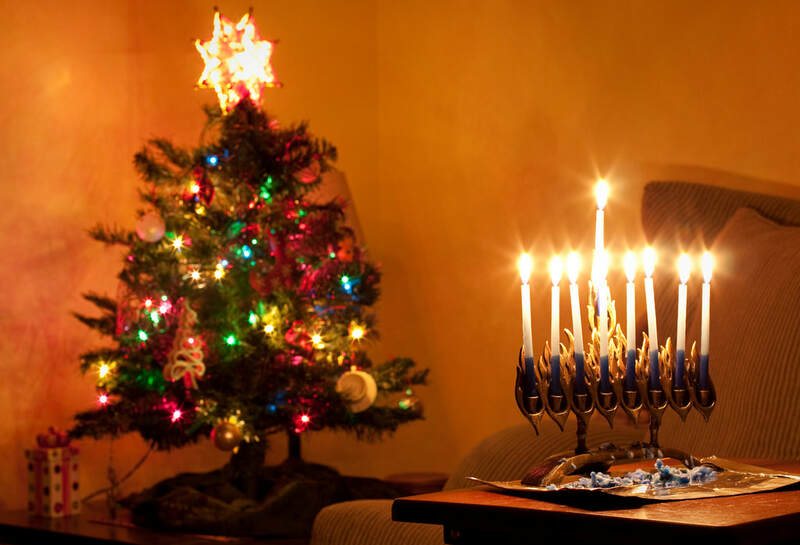 One of the first misconceptions that non-Jews have of Chanukah is that it is the “Jewish Christmas,” generally meaning it is one of the biggest religious holidays of the year. However, Chanukah is a historic Jewish holiday that recognizes the persecution of Jews in Grecian times. Part of the celebration today is playing the game dreidel, which mimics the secretive games Jewish people would often play. The game distracted the Greeks who might have otherwise thought they were studying Torah, an illegal act at the time. In celebrating this holiday, Jews remember their historic separation implemented by an occupational culture. Fast forward to the 19th and 20th century. Jews, again, are being identified and persecuted in Eastern Europe. It was commonplace for Jews to be separated from the general population, putting them in the category of the “other” or not fully belonging. While the rest of the country was swelling with merriness and joy, Jewish people would stay away from public places on Christmas. In fear of being further targeted on that day of the year, Jews hid—somewhat reminiscent of the Jews during the aforementioned Grecian times. In America today, there seems to be a lot of opinions on how Jewish people experience the final weeks of the calendar year. There are some Jews who decide to join the rest of the country in putting their Christmas trees up after Thanksgiving and some who choose to abstain from celebrating Christmas at all. Even among those in the ISJL office, traditions in the Chanukah-Christmas-Chrismukkah celebrations vary. ISJL historian, Dr. Josh Parshall, described how his awareness regarding Christmas culture has changed since he has become a parent. Dr. Parshall explained that his son’s exposure to Christmas has fueled his desires to celebrate among his non-Jewish friends. This leads to a conversation of why they do not celebrate Christmas in their household, a memory that many parents across the country share. Although Dr. Parshall chooses not to morph the late-November-December holidays in his household, that is not quite the way that he grew up. He explained that he celebrated Christmas mildly as a child with a stocking here and there. Going further backward in time, he was certain that his parents grew up celebrating Christmas full-on in the mid-1960’s. Dr. Parshall’s grandfather owned a department store in Hayti, Missouri - an occupation many Jewish people had at the time. And much like today, the holiday season created a swelling of profits. This purchasing surge would make any store owner, Jewish or not, delighted when Christmas rolled around. For the Jewish merchants, like Dr. Parshall’s grandfather, this may have muddied the relationship between Chanukah and Christmas. A taste only bittersweet candy could satiate.